I’ll rewrite this whole life, and this time there’ll be so much love, you won’t be able to see beyond it. Mary Allen (you can call her by her full name, we all do) is a disruptor who is not afraid to say the difficult thing. 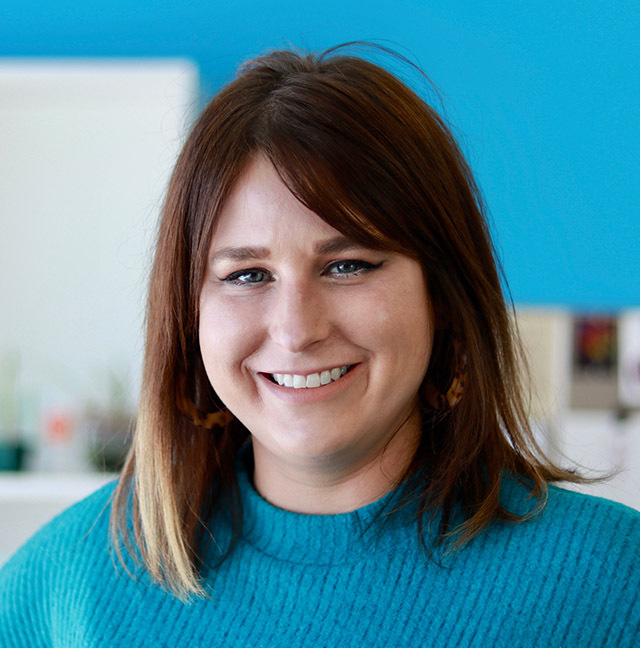 Operating on the belief that concept is queen, Mary Allen’s impressive problem solving skills and love for collaboration make her a well-rounded graphic designer and a strong communicator of complex ideas for Emspace + Lovgren clients. She decided what she wanted to be when she grew up as a grown up — and has crashed into the Omaha design community with passion and vigor. Mother to three strong, independent girls, Mary Allen is determined to live in a way that inspires her kids to do great things. She loves human connection — whether it’s made through design, writing, or even commenting on an Instagram post. It makes her feel powerful to look great, give a compliment, or stick up for the underdog. A tireless advocate for mental health awareness, Mary Allen is also passionate about public schools, the arts and pop culture. She has lost several friends defending Kim and Kanye.